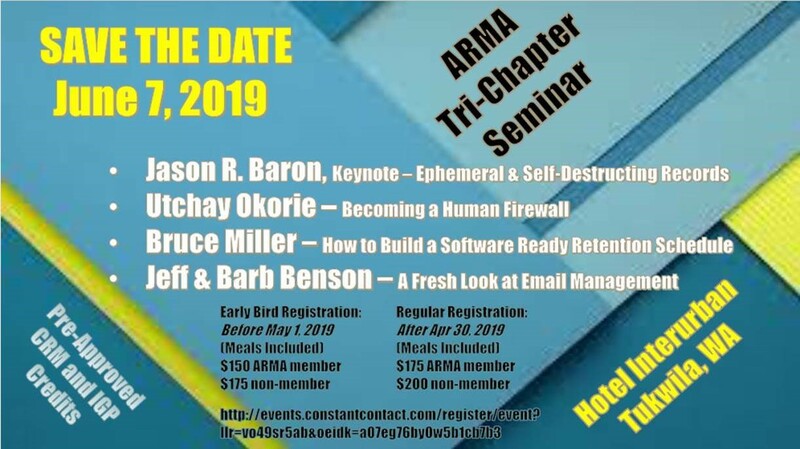 Registration is now open for the ARMA Tri-Chapter Seminar! The regional ARMA Leadership Conference follows our Tri-Chapter event on Saturday, June 8, 2019 at the Tukwila venue. Registration for Leadership Conference is separate.